Last preseason games in NFL are done and the only future is the beginning of the regular season. There`s some player details and team details that will like to show. On Thursday, New York Giants beat the current champions in a very intense game with a rookie quarterback Jacoby Brisett doing a great game with 341 yards, four touchdowns and one interception. Tom Brady should confident that there`s a player in the bench with high attitudes and skills. Patrick Mahomes played his best exhibition game in all the preseason. The rookie achieved 183 yards with one touchdown. However, the veteran Alex Smith is the starter with no questions at all and have to feel the pressure of rookies like this one who is stepping their feet. On Buffalo Bills side, this is a new complete stage. New General Manager and new head coach has delivered a new fresh air on this team .Tyrod Taylor has been sidelined due to a concussion but the motivation of Nathan Peterman with 81 yards last Thursday make you think about a continuous in the first regular game since he got 372 yards in all the preseason games. Nothing to worry about from Taylor`s injured. Regarding the Colts, their last game against Bengals showed the big disruptions the offensive line has. Scott Tolzien is terrible with a very poor chance of being in the official lineup due to his numbers. Only 24 yards in the last game and no touchdowns passes in the whole preseason. Very poor. The same happened for Baltimore Raven`s quarterback Ryan Mallet who completed only 19 yards last night with 248 yards for the whole preseason. Nothing to worry since Joe Flacco will be ready to start the season against Bengals. 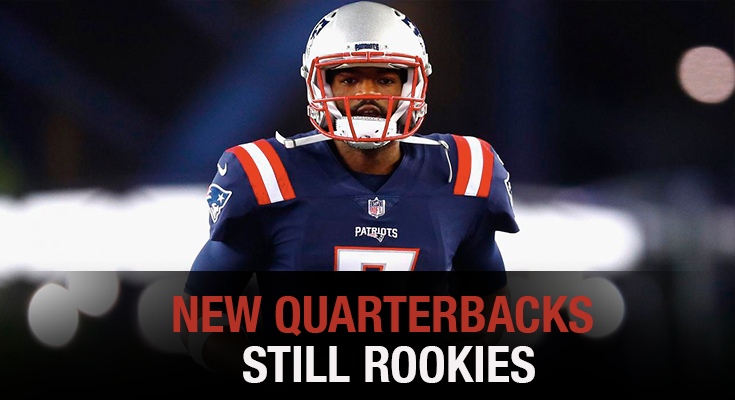 All of these rookie quarterback will have to work more in order to clear doubts. 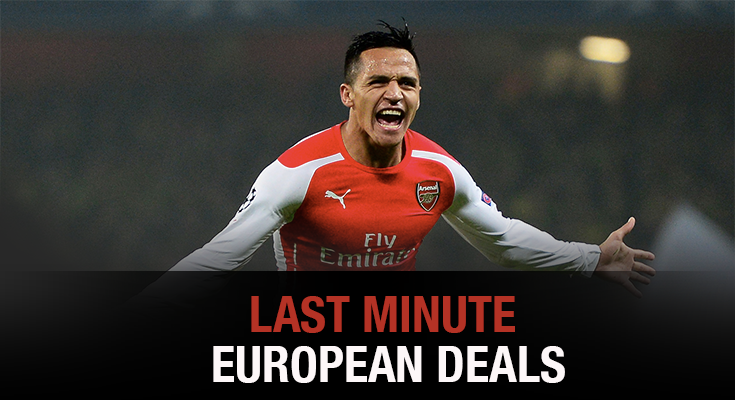 The last hours in the European Market have been very dramatic and intense. Team have literally run everywhere to set the best roster for the season in play. There`s news in every team from Spain. Teams like Paris Saint Germain are about to be monitor for the UEFA due to the actions done this summer with signings as Neymar or Kylian Mbappé. Other, have been cool and calm about their new incorporations as Real Madrid. Ivorian French player Karamoh has been signed by Internazionale Milan with an age of 19. Costa Rican Joel Campbell will get back to Real Betis for an Arsenal Loan and will be his second career with the Spanish team in which had a good performance. Barcelona gave in a loan Douglas to Benfica. French Lionel Carole is welcome in Sevilla. Argentinean Lucas Alario has moved from River Plate to Bayern Leverkusen. It has been more than 15 player transactions all over Europe and what is funny is that Barcelona could not sign Coutinho after several bids sent to Liverpool. All were rejected. Juventus also rejected Dybala`s bid from Barcelona. Nobody wants to empower Barcelona because they know what can happen. The market has a few more hours open. They will probably send all their efforts to sign Di Maria and with this UEFA monitoring for Paris Saint Germain they could let the player go. Talking about PSG, the defense Serge Aurier will get to Tottenham for a five years deal. Howëdes will be move to Juventus too. By the way, in a closing market day of 2002, Ronaldo was signed by Real Madrid for four season netting in total 104 goals in 177 games with 27 assistants. Big up to all the new moves in Europe. 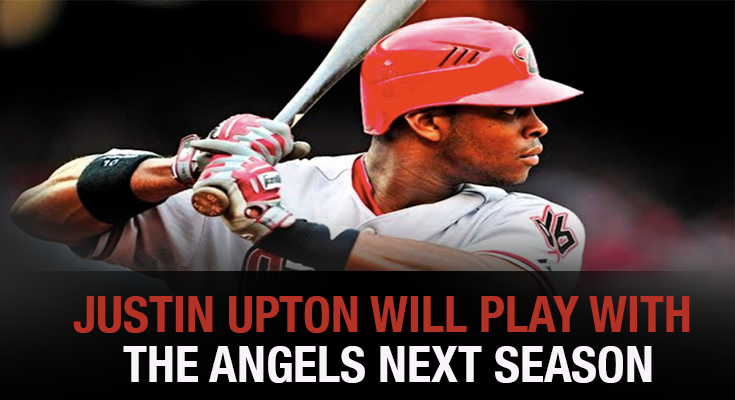 On Thursday, the Los Angeles Angels announce the trade from the Detroit Tigers of Justin Upton. The news were reported by a Fox Sports corresponsal. Both parties are really close to end the deal that will move the player. Many other channels confirmed the news as the MLB official page and the New York Post. But the deal doesn’t ends up as a money-player exchange. The Tigers will have on their rotation the pitcher Grayson Long. They will pay Upton’s last salary. The player will deal with the team after the non-waiver trade line that will be on July 31. Statistically talking, in 125 games Upton has .279/.362/.542 with a 94 RBI, 28 home runs and 10 stolen bases. The 30-year-old has play with many teams as the San Diego Padres, Arizona Diamondbacks and the Atlanta Braves. He has played with 5 teams in 11 seasons. He has been very consistent with his stats, as one of the 40 most active players of the league. He has been playing since 2005 when he was the first pick of that year. His stability has been what teams are looking for and what makes him a good pick for any team. If he doesn’t signs with the team, he can go in free agency and try a deal of $88.5 million. He has won two Silver Slugger Awards, and his ability will pick up the outfield of the Angels. In August, in 27 games he had 11 home runs, never a disappointment for the team. The next Thursday, the Angels will playa against the Minnesota Twins. The wild-card this year is still open.Upton cames to the time to order their rotation and will help players as Albert Pujols and Mike Trout. 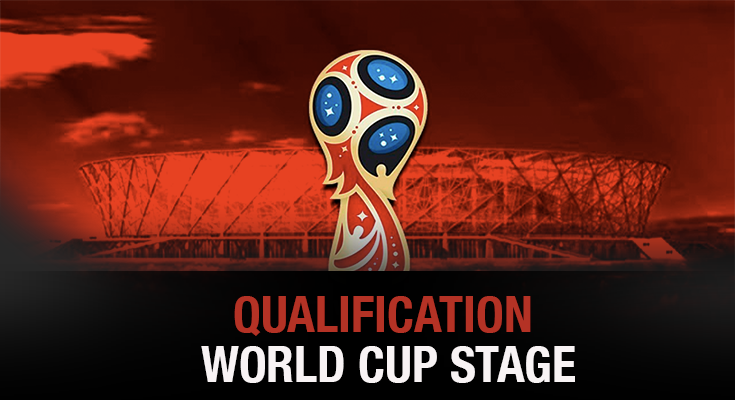 The Thursday qualification games to the World Cup Russia 2018 have been extreme intense. From the four goals France beat Netherland to the draw of Argentina and Uruguay played in Centenario Stadium. All of these games have entertained the soccer world bringing nice plays, nice shots and top expectations. Colombia also went to Venezuela and safe a point which meant a little frustration since everybody was expecting to count them on the already qualified teams. Regarding France they already qualified for the next World Cup by beaten Netherland four to zero in a match in which all their stars bright high. Antoine Griezmann scored a goal and made an assistant. Kylian Mbappé scored one goal by getting in the second half. Getting helped by Bulgary who won over Sweden, left France in the top of the group and with the qualification in their hands while Netherland, a powerful and traditional team in the World Cup can get off the qualification. In other confederation, Argentina and Uruguay had a draw on zero goals. Messi and Suarez with their own teammates couldn’t open the scoreboard. A very slow pace game with no absolute intentions to goal. Meanwhile, Paraguay made a huge and tremendous mission of winning over the finalist of the Confederations Cup, Chile, by three goals. One of this goals was Vidal’s own goal. Brazil already qualified and playing amazing beat at home Ecuador who is getting away of the qualification spots. Portugal itself achieved their mission of qualifying to the next World Cup by winning Feroe Islands with a stunning hat trick of Cristiano Ronaldo. At the end, World Cup is adding more teams like Japan. 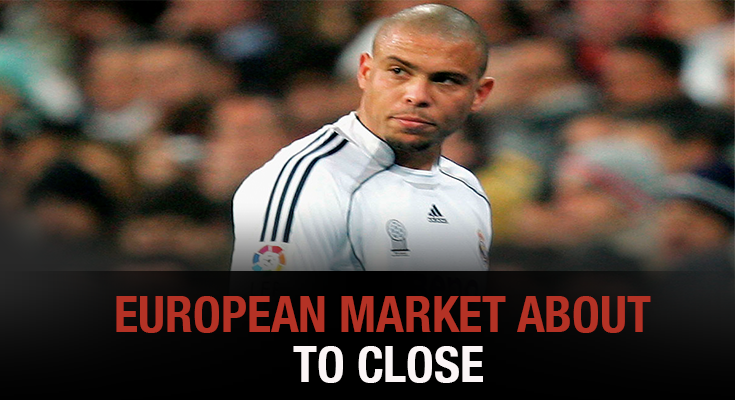 The market has only a few hours more and many teams, agents and players are running to sign the best candidates. The most sounded deal could be the signing of Alexis Sanchez to Manchester City for 70 million euros and can be ready very soon since the same player has stated that he wants more freedom and Arsenal is like a cage. Plus, he will be packed in deal with Raheem Sterling since Arsenal needs a more powerful striker and definitely is a good prospect. The gunners have rejected a bid for 50 million euros already, however, they are open to let the player go after Liverpool`s game when they lost 4 – 0. Also, Chelsea has made a bid on Alex Oxlade-Chamberlain too but got rejected and now Liverpool will take the players services for a closing amount of 35 million euros. On Arsenal he used to play as a right wing back but looks that on Liverpool will hold the midfield again. For Antonio Conte’s team is very frustrating to lose an opportunity like this. Plus, West Ham is targeting Barcelona`s Andre Gomes who didn’t provide enough value with only 17 starts in the Liga last season. West Ham can definitely use him more after losing their first three games of the new season. Premier League deals are hot. Going to Italy, Juventus the current champions closed a loan signing for Benedikt Howedes coming from Shalke with the option to buy if the player achieves 25 appearances this coming season and Juventus pays 13 million euros. Will be the first time, Howedes plays abroad Germany and was Shalke`s captain. In Spain, Atletico de Madrid is securing Diego Costa`s return home. His current team Chelsea has no rush and actually lowered down the price so probably the deal will ready for next market opening during december. Fernando Llorente is heading to Chelsea and that’s why Chelsea need to stable their budget. And finally but not least, Di Maria has requested their goodbye party from Paris Saint Germain since Barcelona has announced their interest. Remember that the clause of not playing with Barcelona is over and looks that Di Maria is disappointed after the way Real Madrid treated on 2014. Best way to take revenge is buying putting some goals in. Barcelona is hanging on with alternatives after Neymar`s resounded deal. 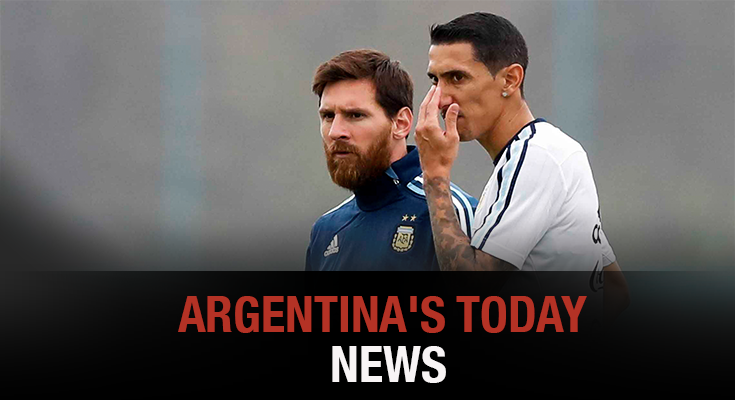 Argentina is desperately looking for the winning over Uruguay this coming Thursday when they play in Montevideo with the only consignment of earning the three points and consolidate the qualification for World Cup Russia 2018. At this time, will be the first game of Jorge Sampaoli as coach with a few interesting changes. Gonzalo Higuain, a player who don`t deserve any respect for his last plays missing fatal chances of goal in Brazil, America`s Cup in 2015 and 2016 against Chile was out of the announcement. Instead, Mauro Icardi was called in and could be a good augury of all the goals missed by Higuain in the past. Dybala was called too instead of Sergio Aguero who`s performance has dropped in the last years and it is very possible to be in the official lineup. Dybala´s has an outstanding performance at Juventus. The offensive line looks powerful because they have to win yes or yes. It`s a general mission not Messi´s individual mission and everybody knows that, however, Messi has scored a few times already against Uruguay so it´s the A card. Uruguay in the other hand, will recover Suarez who is now confirmed that will be on the start of the game. His knee is ready to go. In other news and taking advantage of the closing market in Europe and specially related to two players of the Argentina National Team. Looks that Barcelona is a heavy pursue for Di Maria or Dybala. Sounds more like a Messi`s willing than a usual soccer transaction. Also, Juan Foyth will be part of Tottenham Spurs next season after closing the deal this Wednesday. He was playing with Estudiantes de la Plata and has been announced in the under 20 team. Another Argentinean that will go to Europe is Alario who got signed by the Bayern Leverkusen after several comes and goes from his ex team River Plate. 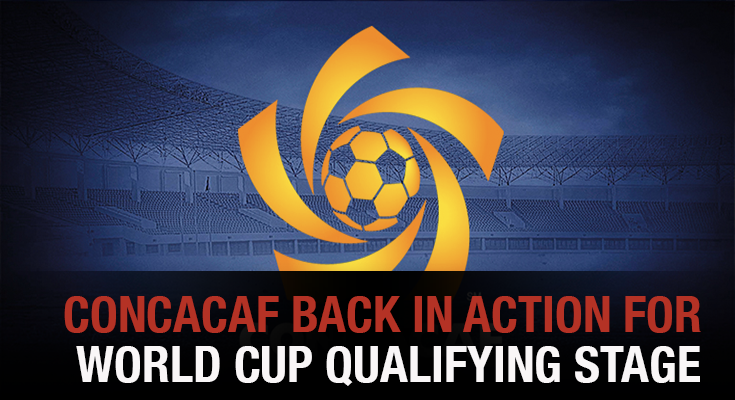 Next Friday September 1st, the North, Central and Caribbean soccer confederation better known as Concacaf will go back to action for the qualifying games of the next World Cup to be celebrated in Russia. United States will play Costa Rica New Jersey, Trinidad will face Honduras at the Ato Boldon Stadium and Mexico will face Panama in Azteca Stadium. All games will be televised. For the first game, the presence of the new rising Dortmund’s star, Christian Pulisic is shaking all the sports media comments. In fact that United States gets very emotionally tough to this game by winning last Gold Cup in july. Will also focus on their veterans Clint Dempsey, Michael Bradley and Alejandro Bedoya who have been a significant pain for Costa Rica in the last games. In the other hand, Costa Rica`s weaknesses come from the poor rhythm of play from their star Bryan Ruiz who is still looking for a team in Europe when there`s only hours left. Five weeks without playing makes him in a very comprised soccer situation. However, he will be supported by Celso Borges who comes in good shape. Joel Campbell is injured for United States luck since last match he scored twice with fancy dribble plays. In Honduras the big news is the incorporation of Carlos Costly who has refused several times to be managed by Jorge Luis Pinto. In Panama, their official goalkeeper Penedo will miss the game with Mexico. This week, captain Machado made hard declarations against Mexico’s soccer idiocracy building an intense environment. In Mexico`s side things look be quiet after the hard opinions made to their coach Juan Carlos Osorio after losing Confederations Cup and Gold Cup. The problem was when he called some young players instead of official players. Now, he decided to go for the official lineup. In Trinidad, already eliminated, cool and calm. Storms, hurricanes and flooding is having a direct sports effect in NFL. The Houston Texans have to move to Dallas Cowboys field in order to keep training and being safe when the regular season is about to start next week. Looks that they will use this field for the first two games and actually, they will play each other for the last preseason game next Thursday evening. It has been announced that they will donate all the tickets to the United Way Of Greater Houston Relief Fund in the aftermath of Hurricane Harvey and it also got relocated to AT&T Stadium in Arlington. It will also be combined with the one million dollars donation made by Texans owner Bob McNair to the United Way. As well as some players who have raised fund on their own such as J.J Watt who raised 3.25 million dollars. He stated to Espn: ““I think the only good thing that could possibly come out of a game on Thursday would be a massive fundraiser. That’s about the best-case scenario that could some from a game on Thursday is if it raised multi-millions of dollars.This is bigger than football. It’s bigger than a game. It’s bigger than any of us. So we need to make sure that we’re thinking about these victims and the city of Houston before anything else”. Good heart from a good player. Regarding both teams current news. Cowboy`s last game against Oakland Raiders went pretty good and is showing how well set is the team for the coming season. Although, a bad news for the defensive team when linebacker Anthony Hitchens got injured and will be out for the first games. While Texans lost with Saints last Saturday trying their three quarterbacks and none of them feed the scoreboard out. The entire running backs only rushed 57 yards in the whole night. Very frustrating numbers. Last Monday, the Baltimore Ravens extended the contract to their coach John Harbaugh. The team took this decision since last week, but until today it was announced by one of the corresponsals of ESPN. The deal was made because the original deal would had expired after the coming season. After this, Harbaug will be entering his 10th year with the Ravens. He had worked with the team since Brian Billick left the team back in 2008. Statistically talking, the coach has an incredible stat of 85-59 with the team. On the league, only 4 teams have better score than the Ravens since they have been underneath Harbaugh’s mandate. Harbaugh raised the team’s attitude and also they way everyone look the team. He had participated with the team in the AFC North Championship, where they won two titles. They also participated in the 47th Super Bowl, in which they won the title against the San Francisco 49ers. That Super Bowl took place on February of the 2013. Even though the good role the coach had played with the team, the extension was a surprise because the team has been out of the playoffs. The team had been absent on the last three playoffs after they reached the postseason since the coach started with the them. Since they won the Super Bowl back in 2013, they had two games under the .500 with a statistic of 31-33. Many news have put Harbaugh as one of the best coaches of the coming season. The coach was backed up by Baltimore’s owner Stephen Bisciotti. He talked to the press about Harbaugh and said how happy he is with the experience the coach brings to the team. The Ravens are not planning on letting go Harbaugh soon, and they prove it with this year extension. On Sunday, the Cavs said to the press they were looking for Jaylen Brown and Jayson Tatum in order to close Kyrie Irving’s trade. They want to trade Irving to the Boston Celtics and this will be the perfect opportunity to complete the trade. The news were informed by a ESPN corresponsal who said that Cleveland were trying to get more young players as the deal has been changing a lot since the start. The deal haven’t been sealed as both parts want the best for them and their rotation. The corresponsal also talked about the complications for Boston as they will have to play good their cards in order to get Irving. The original deal included Isaiah Thomas but due to some complications with his hip, he left the deal. When they started the trade, Cavs receiver some players as Ante Zizic and Jae Crowder. 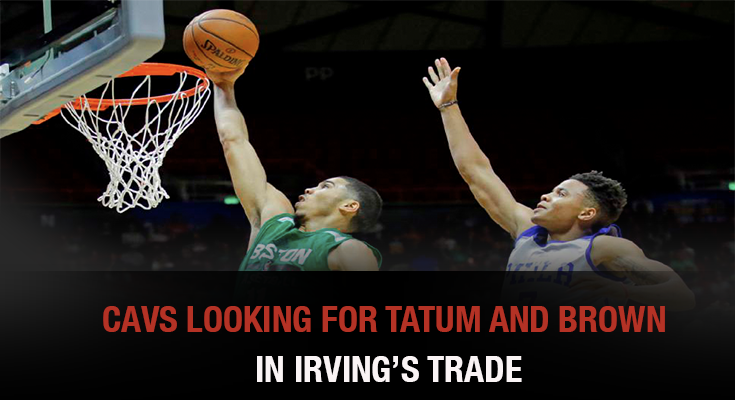 Cleveland has been interested in many player as Tatum, who in 2017 was the No. 3 pick. The Cavs are trying to get young stars because they want to develop the potential on each of the players. The 20-year-old Brown is an example because of his capabilities and his history with Boston, as he helped them advance to the Eastern Conference Finals last season. 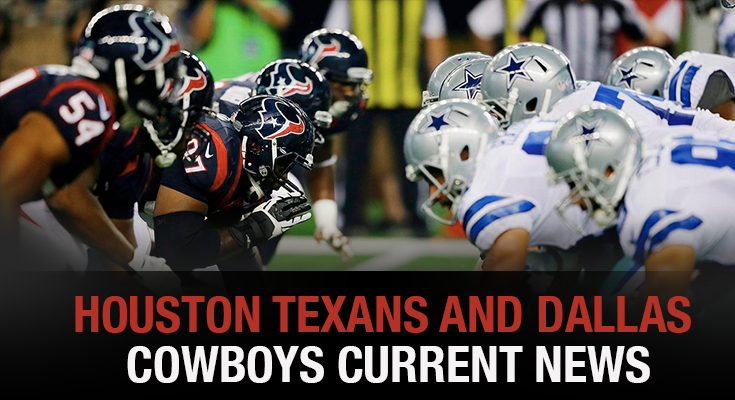 However, these are just rumors, as neither team had said anything about it. Boston wouldn’t let Cavs take so easy two of their prospects, and they want to continue with the original deal. Another concern is that this is the last year of Thomas with the team. Another important fact is that next season LeBron James will be a free agent, and teams as Cleveland will be interested in taking him with them. The Cavs are trying to take a smart decision with their trades, as they could possibly leave the team without a correct block.